The Ospery Hotel is a a luxury 4-star urban retreat in the heart of Naas town Co. Kildare. 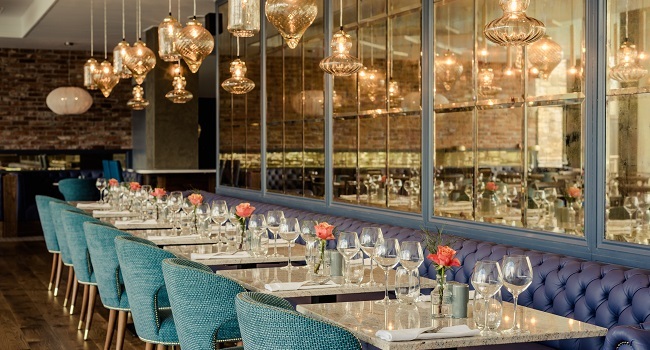 Herald & Devoy seats 100 people in the most stylish dining room in Naas, with curved sculptured walls and ceilings create intimate booths, seating banks and private enclaves for dining. Their Executive Head Chef’s twist of imaginative genius is both stunning and inspired using the freshest and best of ingredients. Each Executive room will be have some gorgeous treats including mineral water, fluffy bathrobes and slippers & Chocolates. Guests of Osprey Hotel enjoy complimentary access to The Osprey Leisure Club with 20m deck level pool, hydrotherapy pool, separate children’s pool, sauna and steam room. If you’d like to make a table reservation please email events@osprey.ie or call: (045) 901 356.